There’s a new show to schedule into your fall line up and it’s on Tuesdays at 8:30 PM and it will cuff you to the couch in stitches. 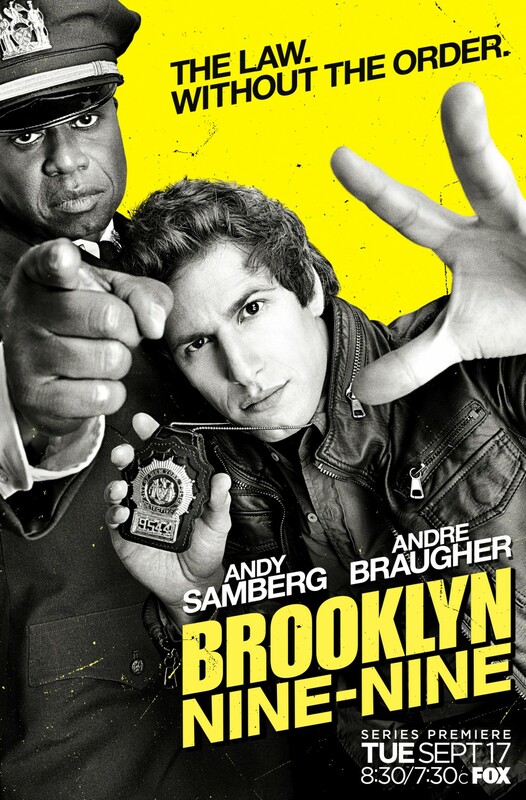 Brooklyn Nine Nine has a near all star class that includes Andy Samberg (Lead, detective Jake Peralta), Andre Braugher (Captain Ray Holt), Terry Crews (Sgt. Terry Jefords), and Joe Lo Truglio (Det. Charles Boyle), we also have a few new faces that have not been around in the business for to long, who are JStephanie Beatriz (Det. Rosa), Melissa Fumero (Det. Amy), and Chelsea Peretti. Considering we’ve only gotten a glimpse into the comedic cop sitcom it’s a bit early to tell how well the show will turn out, but the acting is above average for a pilot, and the jokes are delivered with a punch, and they touch on some pretty raw subjects for a show clocking in at 22 minutes on FOX. Season 3 of New Girl opens up with no time lost between Season 2’s final episode. And season 3 seems like it will keep on delivering the quirky, adorable laughs that Zooey Deschanel, Jake Johnson (Nick), Max Greenfield (Schmidt) and Lamorne Morris (Winston) delivered in the first 2 seasons. This Fall Fox has something new worth watching. Are you a fan of horror? Are you a fan of mysteries? What about time travel? How about men with accents and long luscious locks? Well, if you enjoy any of those things along with classic timeless tales, Sleepy Hollow on Monday nights at 9 p.m. will be totally up your dirty stone alley. For a compiled list of Network Television click here.